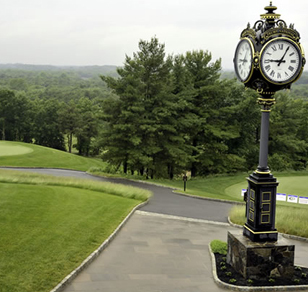 Set atop southern New Jersey’s highest point providing views of the Philadelphia skyline throughout the course, Trump National Golf Club will astound. World renowned golf course architect, Tom Fazio, designed a property that is both beautiful and challenging. With 18-holes boasting distinctly different characteristics, Trump National has received numerous national accolades and has rightfully taken its place among America’s greatest courses. Built upon the site of a former ski resort, the 43,000 square foot clubhouse provides panoramic views of the surrounding landscape and Philadelphia city skyline.